New Crime-Fighting Level and Exciting Characters Inspired by Acclaimed Series. 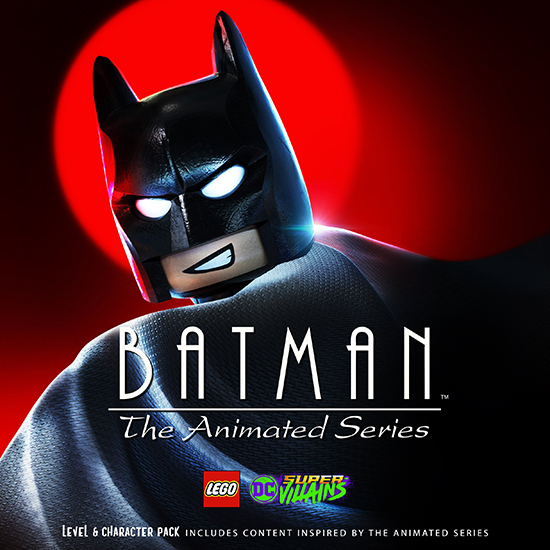 Batman: The Animated Series Level Pack for LEGO DC Super-Villains. In celebration of Batman’s 80th Anniversary, the pack, available for £2.49, adds a new crime-fighting level inspired by Batman: The Animated Series, the ground-breaking, Emmy Award winning series famous for its film noir aesthetics, intelligent and intricate stories, and stylised presentation. Players can roam Gotham City with seven newly-added characters whose origins were famously modernised in the series including The Phantasm, Captain Clown, Man-Bat, Mad-Hatter, Batman, The Joker, and Harley Quinn. The Mad Hatter began as timid scientist Jervis Tetch who was experimenting with mind control technology for Wayne Enterprises. Attempting to impress a love interest, he dresses as the Mad Hatter character from his favourite story book and uses his mind control technology to brainwash people to do his bidding. The notorious and iconic Harley Quinn made her first appearance in Batman: The Animated Series when she and Joker attempted to plot against Commissioner Gordon only to be stopped by Batman. Psychologist Dr. Harlene Quinzel began her career at Arkham Asylum, and it was there she first met The Joker. While trying to psychoanalyse what made the clown tick, he turned the tables and toyed with her mind and she ultimately helped him escape becoming his criminal sidekick and love interest, Harley Quinn.